This comical couple is sure to bring a smile when your guests see it in the restroom! 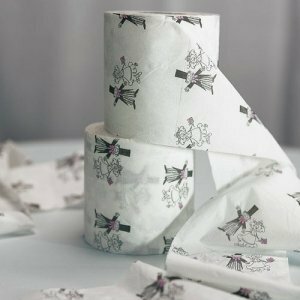 An easy way to add some fun to engagement celebrations, bachelor parties or even your first few months at home as newlyweds, these toilet paper rolls feature a cute bride and groom holding hands. Each roll contains approximately 350 sheets, sold in packages of 2 rolls (minimum order is 2 packages/4 rolls). 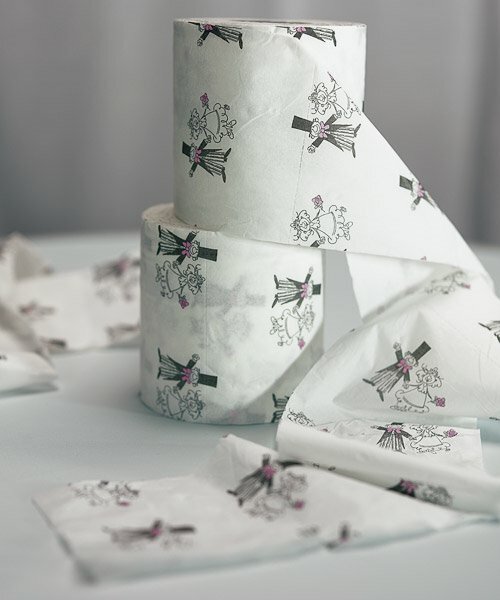 Also see our matching tissues (item #WS-7065).